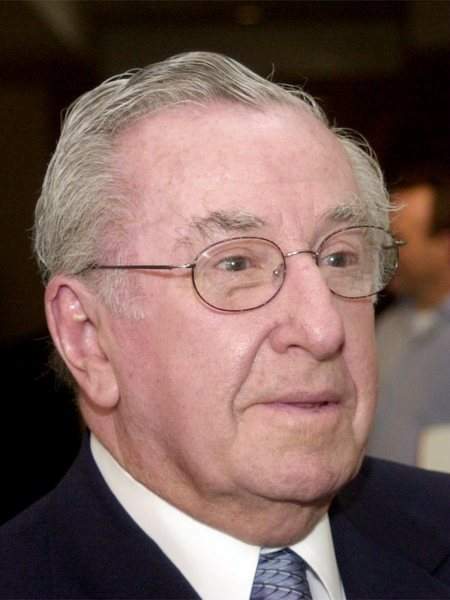 The late Colin Lister, who was a longtime business manager and owner of the Komets, will be inducted into the Indiana High School Baseball Coaches Association Hall of Fame. Lister was heavily involved in youth baseball for 45 years in Fort Wayne after emigrating from Australia in 1958. Lister is also in the Indiana High School Hockey Hall of Fame, the Fort Wayne Sports Hall of Fame and has the No. 59 retired by the Komets, who he owned until 1985. LaTroy Hawkins, who played for the Fort Wayne Wizards and then in MLB, will also be inducted Jan. 27 in Indianapolis. His banner hangs high above the ice in Memorial Coliseum, between Ken Ullyot's and Steve Fletcher's, so far toward one end it seems at first like an afterthought. Colin Lister was hardly that. Business manager, owner and, it's not too much to say, a one-time savior of the Fort Wayne Komets, Lister died Friday at 83. His association with the club lasted nearly 30 years, from the time Komets coach Ullyot brought him into town in 1959 until Lister sold the team to Bob Britt in 1985. "He was one of the original legends of Komet hockey," Komets general manager David Franke said Friday. "When Ken Ullyot brought him into Fort Wayne to help the business end of the hockey club at that time, Colin served the Komets very well as a business manager, as an owner, as an ambassador for the Fort Wayne Komets. "There's not really anybody other than Ken Ullyot that was more involved and had more to do with the success and longevity of this franchise than Colin Lister." A native of Perth, Australia, Lister eventually settled in Prince Albert, Saskatchewan, where he became involved with the local hockey team in various capacities including general manager, and where he first met Ullyot, the coach of the team. They reunited in Fort Wayne - Ullyot as the coach, Lister as the business manager - to resuscitate a club that was in significant financial distress and almost immediately turned the team into a success both on and off the ice, reaching the Turner Cup finals in 1959. Turner Cup championships in 1963, '65 and '73 followed, as the Komets became one of minor league hockey's most venerable franchises. And Lister's contribution went beyond simply one minor league hockey team. Later he became almost as synonymous with both youth hockey and baseball in the city as he was with the Komets. "Ted Rolf was telling me a little bit ago, he said, `There's never been a guy in Fort Wayne who gave so much of his time to youth and various sports throughout Fort Wayne,' " Franke said. "It's a huge loss. ... I know he'd been really ill the last four or five years, but you never want to hear that, especially on New Year's Eve. "Now every New Year's Eve we'll remember Colin's passing. It's a real bummer."